iWeather - USA and World Weather Forecast is a comprehensive application with an intuitive interface, perfect for visualizing weather information from all around the world. 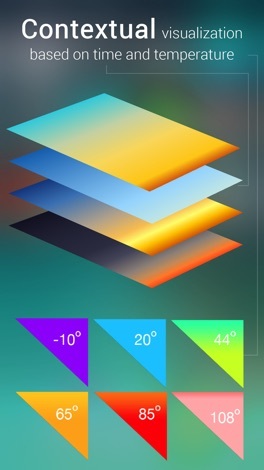 Learn it all about temperature, wind speed, pressure and humidity data and enjoy the beautiful app design. Controls are excellent and intuitive, so you will quickly learn how to properly make the most of it. 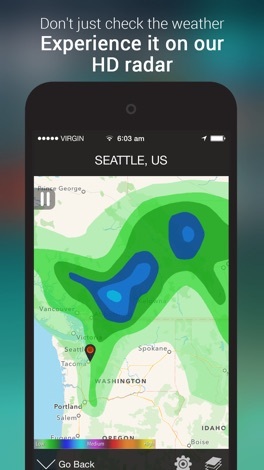 r3app, Inc. is the developer of iWeather - USA and World Weather Forecast. iWeather is the most beautiful, simple and, of course, intuitive app that displays precise weather data for multiple locations around the world. 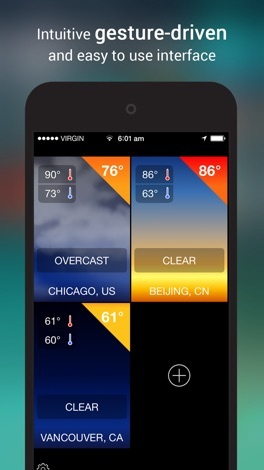 iWeather Free version only supports up to 4 locations with advertisements. Please upgrade the ​app to add more locations and remove the ads. If you have any questions, suggestions or encounter any problems with iWeather, please contact us. Please leave a review on iTunes if you like the app! We will appreciate it. Discover everything you want to know about the weather. 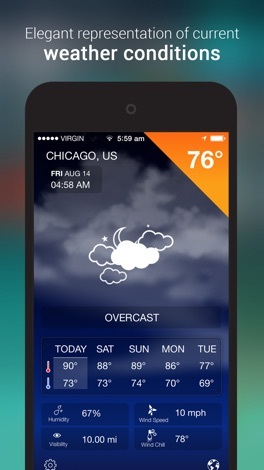 Wthr: Innovative World Weather Forecast & HD Radar is a well-designed weather application for iOS devices. The app has an incredibly interactive interface: pinch to go to location list, tap to view weather details and access settings to manage everything better. Controls are really intuitive,….